Okay, I guess that’s enough with the Dubai food for a while. I have posted them for the past whole week. You must have bored with it. Can read cannot eat; can see cannot taste. Worry not; some of them might be coming in, sooner or later. Just be patience and wait for them to come in. This new face came all the way from Tokyo and popped up their very first overseas branch here in Desa Sri Hartamas 3 months ago. 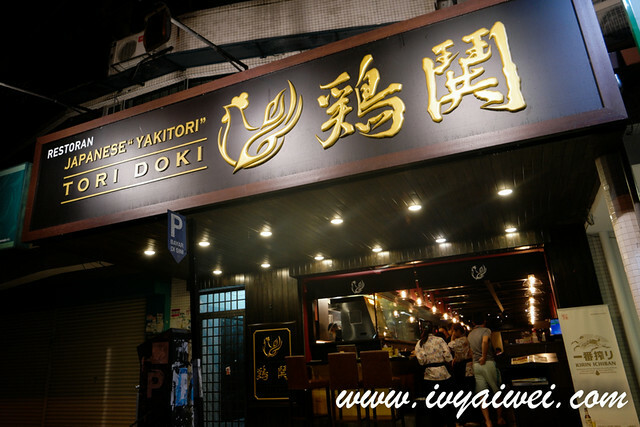 This is a Japanese restaurant or izakaya that is specialized in Yakitori. 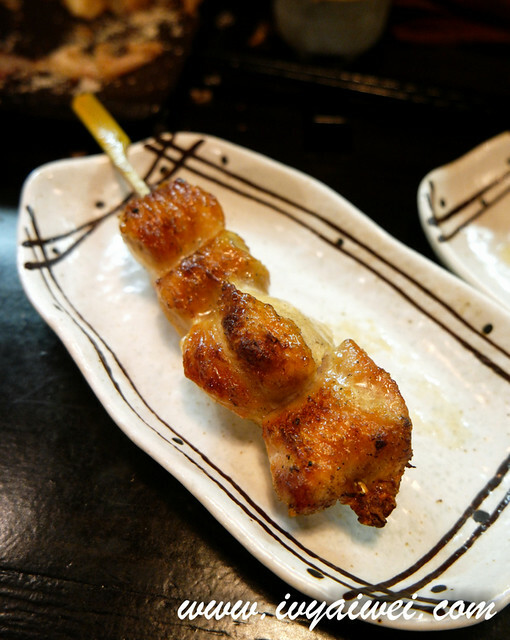 Yakitori, or known as grilled chicken skewers are made from chicken meat of all different parts, namely breast, thighs, skin, liver, soft bone, heart and others innards; and then grilled over the charcoal fire till perfection. I find this yakitori place is quite special. They have the mix and match of different parts of the chicken in one skewer. 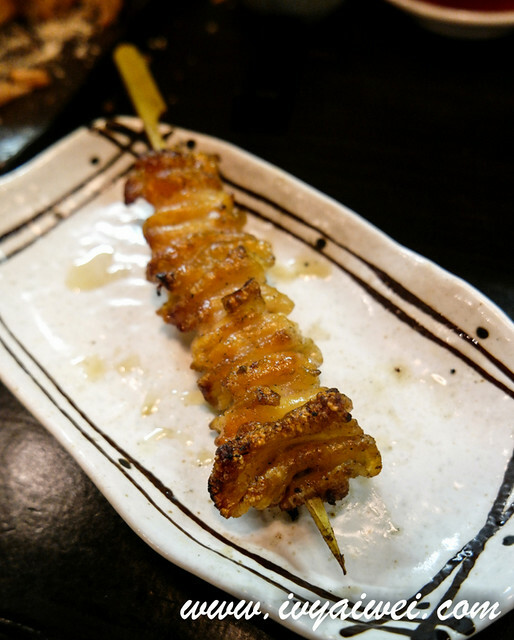 You will find their signature Toridoki is made of breast, skin and thigh in one skewer; Tsukune is made of breast and gizzard. 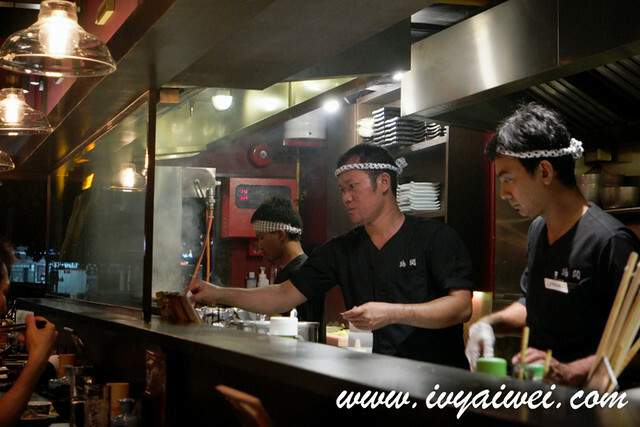 They are pretty much emphasizing on bringing the authentic taste and quality from Tokyo to KL. 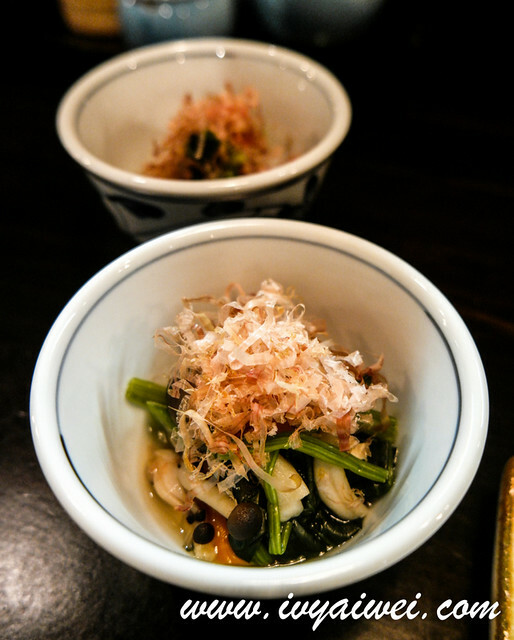 Hence, one can enjoy the real Japan’s izakaya atmosphere here in Toridoki. Also, this place is flooded with Japanese too! Must be real authentic eh. 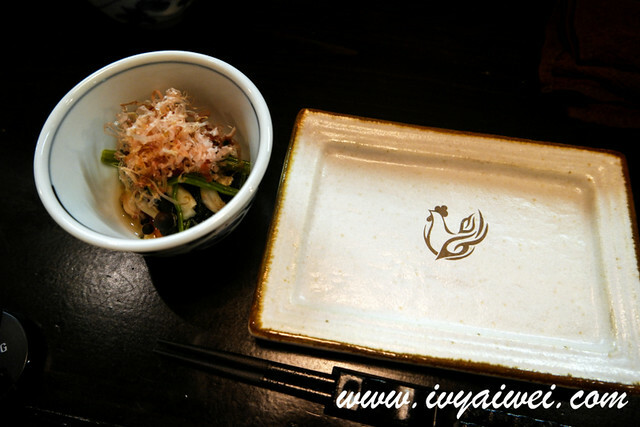 Same like dining in Yakitori by Fukuda, once seated, you will be served with oshibori (wet towel) to clean your hand and the appetizer. 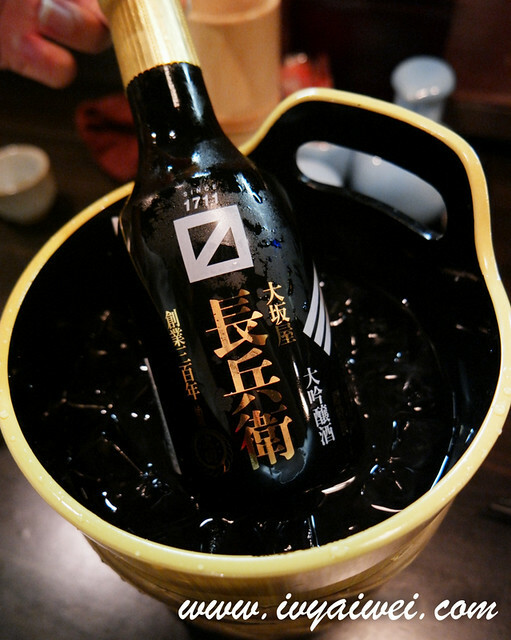 As usual, with my sake-partner, we started off with a bottle of Sake. 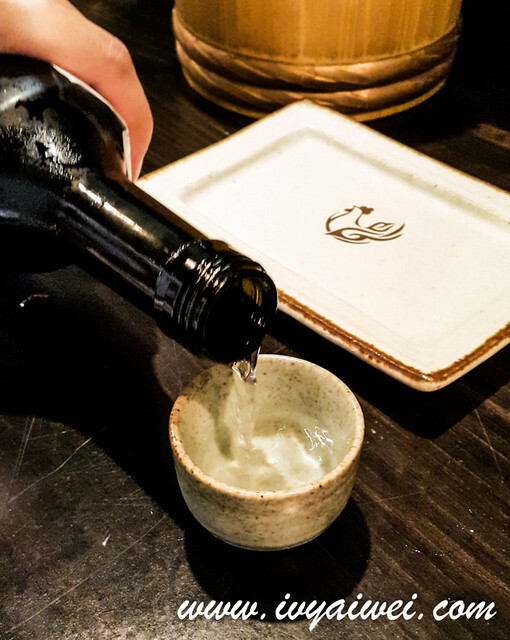 Since the Shirakawago Junmai Ginjo I have been eyeing on was not available in their menu anymore, we went for the chilled Osakaya Chobei Daiginjo (Rm 78 – 300ml). It has a delicate sweet taste taste, fragrant with the fruity aroma. It ended with a small hint of dryness on the tongue. Fried tofu with this special sauce that is made of soy sauce and dashi was really yummy. 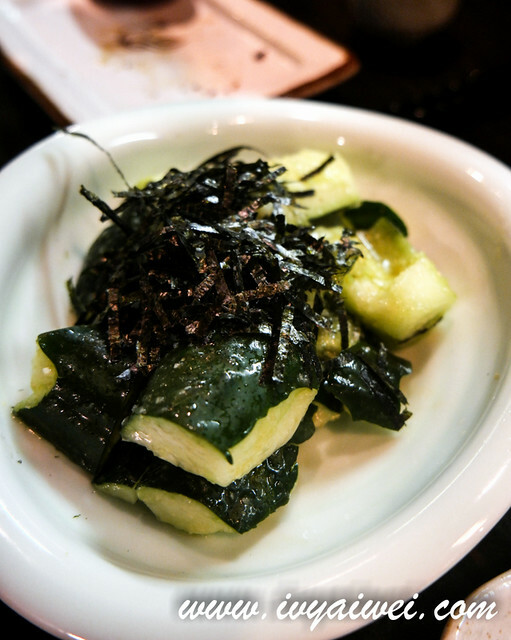 Most of the time we get agedashi tofu in the restaurants which has softer texture on the outer layer. 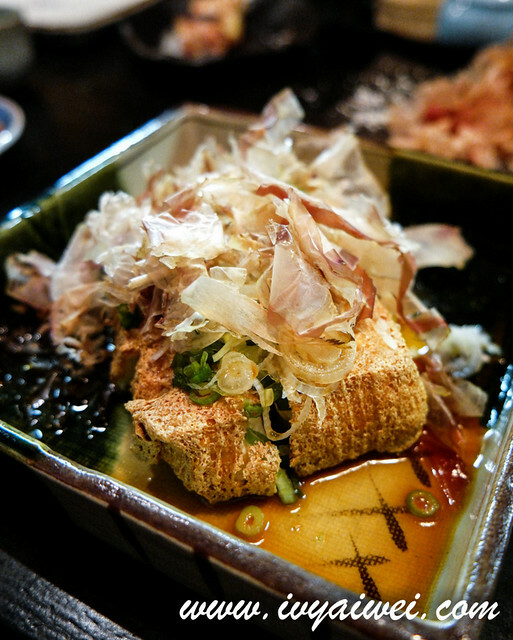 But this Asuage Tofu has crispy outer layer and warm soft tofu center; drenched in soy-dashi sauce. Quite a special dish. Deep fried mashed potatoes covered with bread crumbs. This fried carbs is very addictive. 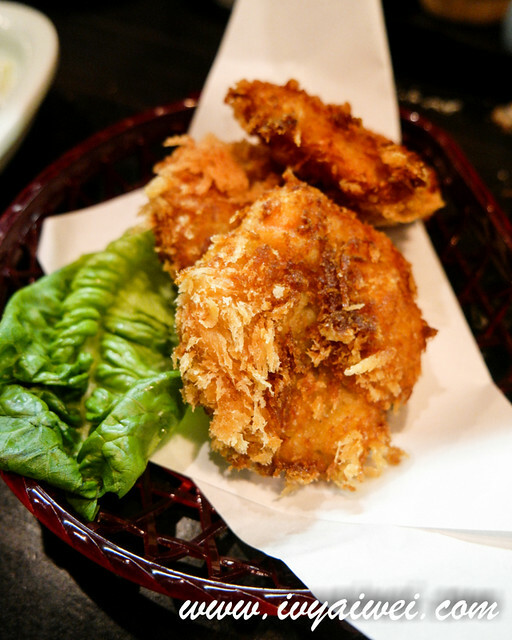 Coated with thin layer or bread crumbs and deep fried into perfection, resulting a warm and soft inner core and crispy thin outer layer. Really a great stuff to munch on and work as tummy fillers. Most importantly, it was not greasy. 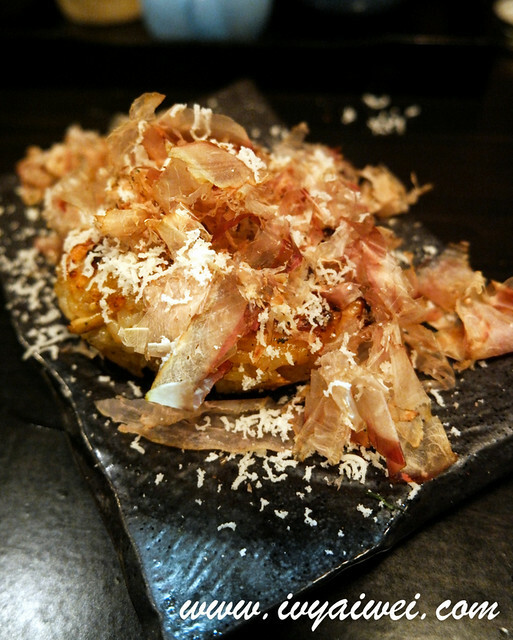 Yaki onigiri topped with lots of dancing bonito flakes. 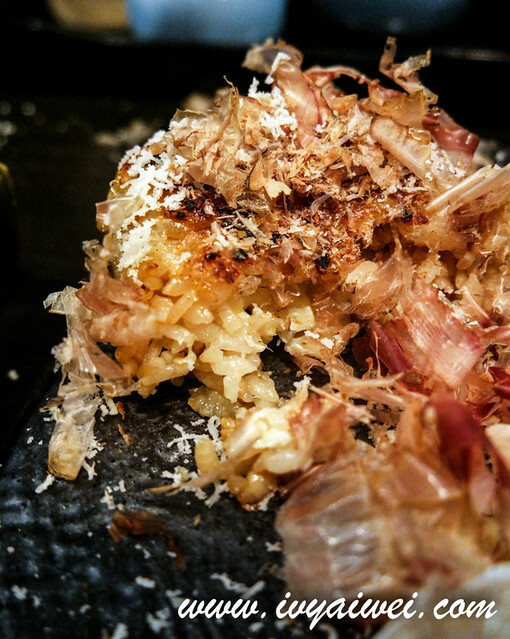 Imagine those melted camembert cheese in the grilled rice ball, which was the delicious gooey cheesy sheathed by the hot fluffy rice while the outer later was fragrant burnt rice layer. Crunchy on the outside and fluffy gooey madness with a soft saltiness on the inside. This looks messy but it was darn good! Must have!!! 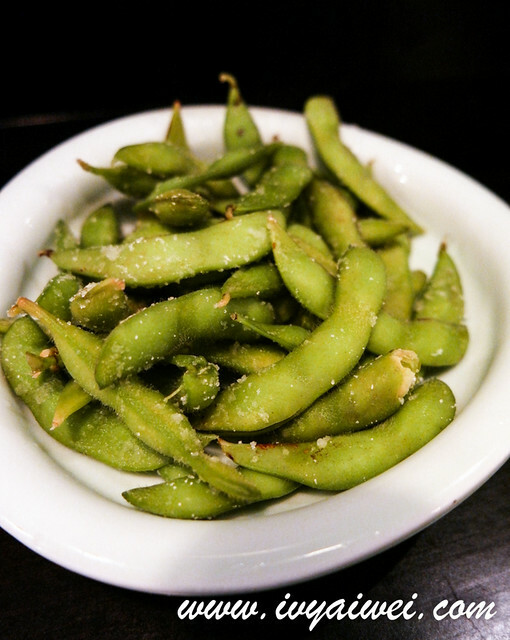 One of the most popular items on the menu. This is the 3 different parts in a skewer. Chicken thigh and breast wrapped in skin. It was really yum! And not many places have this kind of combination. You get to try all in one texture. The artery-clogging chicken skin carried some fragrant burnt edges was in the crispy-chewy texture. Not the crispiest one if compared to the others I have tried but comes to yakitori place, this is one of the must to order. 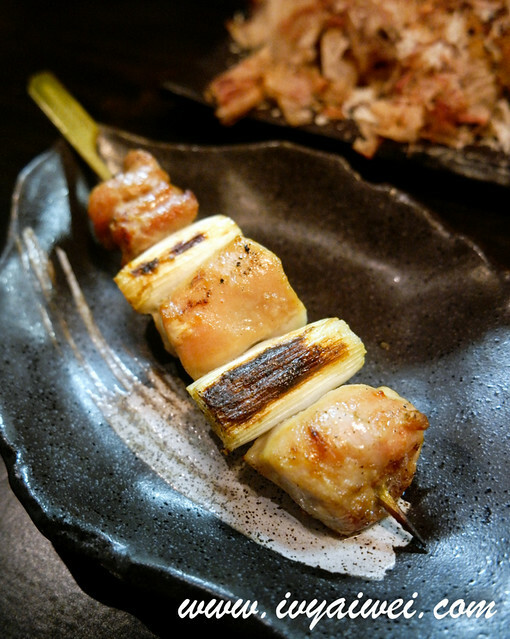 Smooth chicken thigh and Japanese leek. The chicken thigh was infused with the flavour from the leek after grilling over the charcoal fire. Really sweet and fragrant. Glad to see that this yakitori place serves ramen. We need tummy filler before into depth drinking after juggling through the traffic. This chicken ramen was just alright. 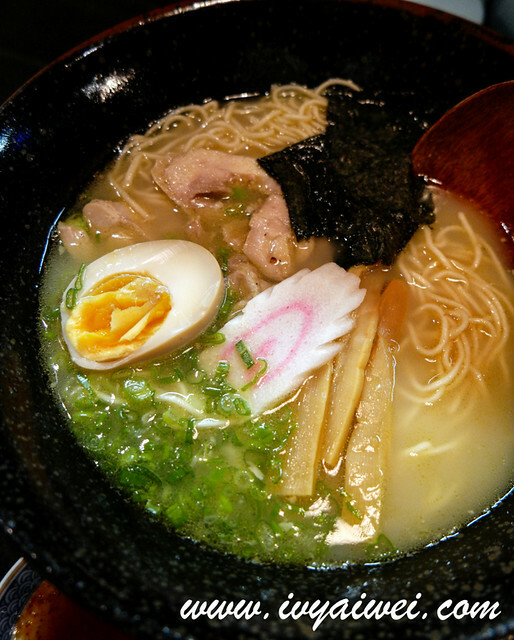 The soup was intense with chicken essence, topped with the usual ramen condiments such as negi, fish cake, braised egg. Not the very best but it was a considered a good one, especially it was served piping hot. As me and my pal had heavy taste buds, so we dosed in a lot of chili flakes and seasoning powder. Sadly, Houjicha Pudding was sold out that night. Hence I went for their Matcha Ice Cream (Rm 8). 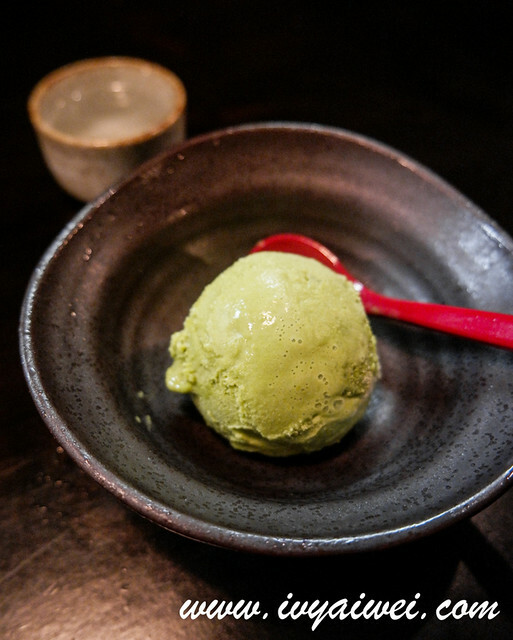 They offer other flavours to if you are not a fan of matcha.